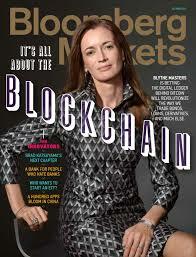 Blythe Masters, CEO of Digital Asset Holdings appeared on the front page of Bloomberg Markets this week. How times have changed. Read the story here. The banker who helped give the world credit-default swaps wants to upend finance again—this time with the code that powers bitcoin. Leading bitcoin exchange and wallet provider Coinbase has expanded its services to Canada and Singapore. As a smart contract and blockchains startup we are asked to explain the general state of the technology more than if we were a startup in a more established technology. Here's Casey's (current) thoughts. The inability for the Bitcoin development community to come to consensus on proposed changes may lead to a change in Bitcoin governance. While much of the Bitcoin industry still relies on unconfirmed transactions, Peter Todd contends that they "aren't very secure." CoinWallet has confirmed that next week at 10am Thursday (GMT) it will push ahead with its biggest stress test so far. CoinDesk previews developer Ryan X Charles' forthcoming decentralized Reddit project, now known as DATT. Aaron van Wirdum explores BIP100 in detail. BIP100 has been backed by F2Pool, BTCChina, BitFury, KnCMiner, 21 Inc. and several smaller pools. BIP100 is not a “moderate” proposal. It introduces new mechanics that are untested and could wreak havoc. Organ of Corti gives his opinions with regards to the implementation flaws of BIP101 aka Bitcoin XT. A detailed analysis of Bitcoin mining profitability taking into account electricity price, ASIC efficiency, future block reward halving. The California Senate Appropriations Committee has voted 6-1 to advance a bill that would create a licensing regime for bitcoin companies.